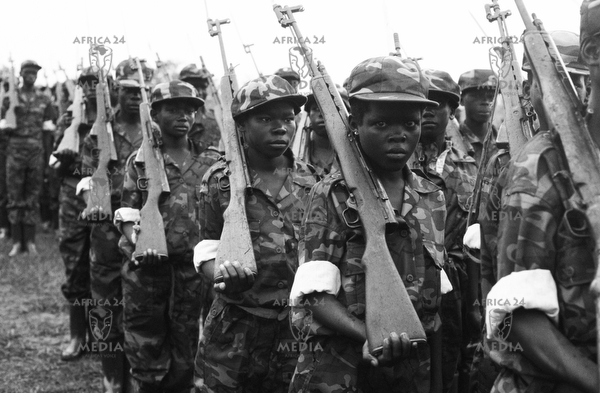 There is in fact a much longer and deeper history of child soldiering in Africa than has previously been acknowledged. Our seminar groups have been exploring this history by analysing evidence for African children’s recruitment into British forces in the Second World War, looking in particular at the memoirs of former child soldiers who fought in Egypt, Burma and India. Although these memoirs need to be treated carefully, as they are adult recollections of children’s experiences, they reveal striking differences between contemporary and historical accounts of children’s experiences of war. British armed forces have a long, and on-going, tradition of ‘boy soldiers’. This tradition was exported to colonial armies in Africa, where it interacted with local traditions of youth military training and service as a key step towards adulthood. During the Second World War, some one million Africans served in British armed forces. Although adult ‘able-bodied men’ were preferred for service, the rapid expansion of colonial forces meant that recruiting standards were often not strictly enforced and younger boys were welcomed, or even deliberately targeted for service. Educated, literate children were sufficiently needed for more technical roles in the Signal’s regiments that the age of recruitment there was formally lowered to fifteen to allow for direct recruitment from schools. Rev. John Mandambwe, from Malawi, recalled how he and his classmates were made to stand against a mark on the wall, and anyone taller than the mark was conscripted into the King’s African Rifles. Although his parents protested that he was only thirteen years of age, he was still forcibly conscripted. 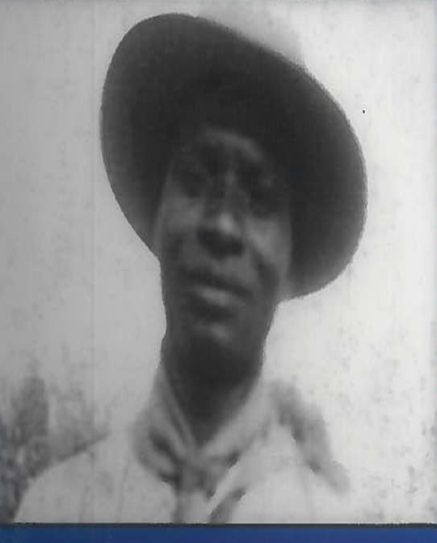 Hama Kim, from Nigeria, on the other hand, was a volunteer, showing considerable agency in inveigling his way in to the Royal West African Frontier Force, despite being told that at thirteen years of age he was too small. The category of ‘volunteer’ however could be flexible, as one Botswanan former child combatant noted that whilst he volunteered to prove himself a man, others were ‘volunteered’ for service by local chiefs. Service in colonial armies allowed these children to travel, meeting different races and cultures. Many showed limited understanding of the political causes of the war, but appeared happy to be fighting alongside British and other colonial soldiers. Perhaps surprisingly, most have positive memories of their service, remembering the camaraderie, and their pride at becoming effective soldiers. One clear difference between these Second World War memoirs and today’s child soldier narratives is the lack of trauma discourses. As Hama Kim put it, ‘soldiers from East Africa were worried about their wives and children; we didn’t as we were very young’. Although they recount the terror of battle and seeing friends die, the former child soldiers do not explicitly speak of the psychological trauma they endured, nor indicate that it has significantly marred their post-war lives. These child combatants clearly show that they were able to either build themselves military careers, or demobilize and successfully reintegrate into society. These historical examples of child soldiering challenge many of the contemporary assumptions made about children’s participation in war: they show that children were not always forcibly recruited, and that many voluntarily joined colonial armies to prove themselves as men, or because they were attracted to the perceived ‘glamour’ or attractions of a soldier’s life. Whilst we today are conditioned to take a negative perspective on child recruitment, for many of these children enlistment was a rational choice – it provided employment, a decent wage, and the opportunity for personal advancement. Ideas of childhood themselves are historically and culturally contingent, and today’s human rights discourses impose Western values of childhood – the so-called ‘Straight 18’ position under which anybody under eighteen years of age is regarded as a child – which do not fit African cultures or process of social maturation, where boys can be initiated into ‘manhood’ in their mid-teens but not regarded as fully ‘adult’ until they have their own children and households. These memoirs reveal the need to analyse historical patterns of children’s employment in war to better understand today’s child soldier crisis, but also the tensions between the historian’s desire for objectivity and emotional reactions to what is today recognized as a war crime: were these boys heroes, victims, or just soldiers? And who has the right to judge? These are the questions we will be investigating in our future analysis of the history of child soldiering in Africa. Timothy H. Parsons, The African Rank and File: The Social Implication of Colonial Military Service in the King’s African Rifles, 1902-64 (Portsmouth, NH, 1999). David Killingray, Fighting for Britain: African Soldiers in the Second World War (London, 2010). With incomplete recruitment records, which often do not accurately record age, it is difficult to accurately estimate how many African children fought for Britain in the Second World War. Mario Kolk (ed. ), Can you tell me why I went to war? A Story of a young King’s African Rifle Reverend Father John E. A. Mandambwe (Zomba, 2007). Graham, Ronald W. (ed. ), There was a Soldier: The Life of Hama Kim M.M., Africana Marburgensia Special Issue 10 (1985). Julius Segano cited in Ashley Jackson, ‘Motivation and Mobilization for War: Recruitment for the British Army in the Bechuanaland Protectorate, 1941-42’, African Affairs, Vol. 96, No. 384 (Jul., 1997), p. 413. I served with the Royal West African Frontier Force from 1953 -1956 including a short spell at the training depot. There was huge competition to become soldiers and we took an intake of recruits twice a year. Birth certificates were unknown and the majority of recruits were illiterate anyway. On recruiting day all applicants were lined up on the barrack square and were then marched under a horizontal bar set at the minimum height for enlistment. Those whose head touched the bar remained, those who walked under it kept going because they were too short. Those tall enough were then inspected by the Officer i/c and the MedicalOfficer and those who were obviously too old, too young orinfirm in some way were also rejected. Those remaining then underwent a more rigorous medical before passing on to join a training platoon. In this way several hundred applicants were reduced to perhaps 60 who then began basic training. The training period also revealed men who were in some way unsuited to become soldiers and these were discharged. It is probable that underage recruits slipped through the net but in any society young men mature at different speeds. No sensible officer would have set out to recruit children who in battle would become a liability. Since posting in December I have done a little research on Rev Mandambwe and find that in his service documants his date of birth is given as 1st Jan 1926 which indeed would have made him 13 when he enlisted in 1939. ( ‘Enlisted’ because there was no ‘conscription’ in East Africa. He may however have been coerced.) When a recruit did not have a birth certificate or did not know his age he was always given a ‘notional’ DOB of 1st January. So it would seem that the Rev Mandambwe fell into this category. His subsequent record shows him promoted Corporal in Egypt between 1940 and 1943, posted to India in 1942 with further promotion to Sergeant and Staff Sergeant. (still only 18 according to his records) In 1945, supposedly aged 19, he receives his discharge. The rank of Staff Sergeant is not used in the infantry therefore it must be assumed that he had been transferred to another unit. There are only two higher non commissioned ranks, WO2 and WO1, therefore Rev Mandambwe had reached the top 2% of the KAR by the time he achieved mans service status. Thus he not only had to be literate but also very mature for his age.